Obamacare remains popular with Americans, despite efforts by Republican senators to repeal a central provision of the health reform law that requires everyone to maintain coverage or pay a penalty. 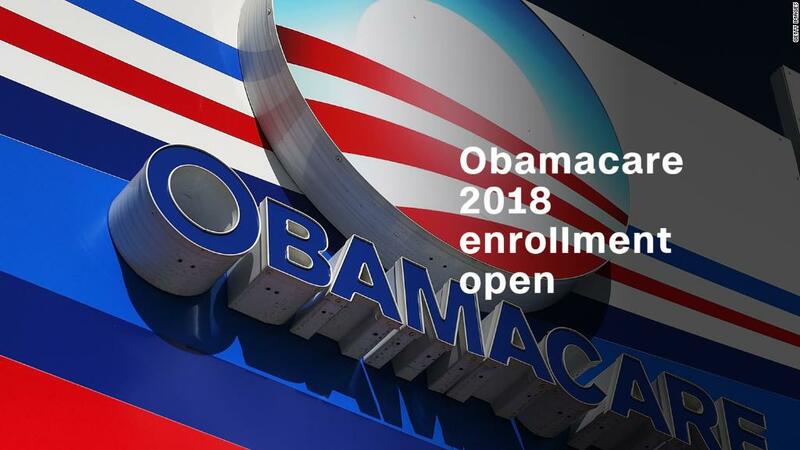 Nearly 1.5 million consumers signed up for 2018 Obamacare coverage in the first 11 days of open enrollment, according to data released by the Trump administration Wednesday. A year ago, 1 million people had chosen policies in the first 12 days of the season. Of the people who have selected Obamacare plans for 2018, about 346,000 were new to the exchanges while 1.1. million were renewing their coverage. Still the pace has slowed a bit since the initial days of the open enrollment period, which began Nov. 1 and runs through Dec. 15. Just over 150,000 people picked plans in each of the first four days, on average, but that rate cooled slightly to 134,000 in the first 11 days. The increased interest in Obamacare policies is not necessarily all good news. Usually, the sickest consumers are the ones who rush to secure coverage. Insurers are concerned that younger and healthier people will forgo enrollment for 2018 amid all the uncertainty and negativity coming out of Washington D.C. That could prompt carriers to raise premiums in the future. Enrollment in coming years could sag more if Republicans get their way. GOP senators announced Tuesday that they would seek to repeal Obamacare's individual mandate as part of their tax overhaul bill. Axing the mandate, which requires nearly all Americans to have health insurance or pay a penalty, would likely wreak havoc on the Obamacare market. It would remove the stick that the health reform law wields to prod younger and healthier people to sign up for coverage. Some 4 million fewer people would be covered in the first year the repeal would take effect, the Congressional Budget Office said last week. That number would rise to 13 million by 2027, as compared to current law. Meanwhile, premiums would rise by about 10% in most years of the decade. While experts have mixed views on how effective the mandate has been, many feel that removing it would cause the Obamacare market to tilt even more towards sicker and older consumers. That, in turn, could make insurers think twice about participating in the exchanges, especially since they would still be required to cover those with pre-existing conditions and not charge them more based on their medical history. Regardless of what Congress does, the Trump administration has taken several steps that critics say will dampen enrollment for 2018. While it is maintaining the federal exchange, healthcare.gov, it has slashed funding for open enrollment advertising and support. Also, consumers will have only six weeks to sign up for coverage on the federal exchange, rather than the three months or more they had in previous years. Premiums for the benchmark silver Obamacare plan are soaring 37%, on average, for 2018. But eight in 10 consumers will be able to find policies for $75 or less. That's because the price spike means many enrollees will receive more generous premium subsidies.